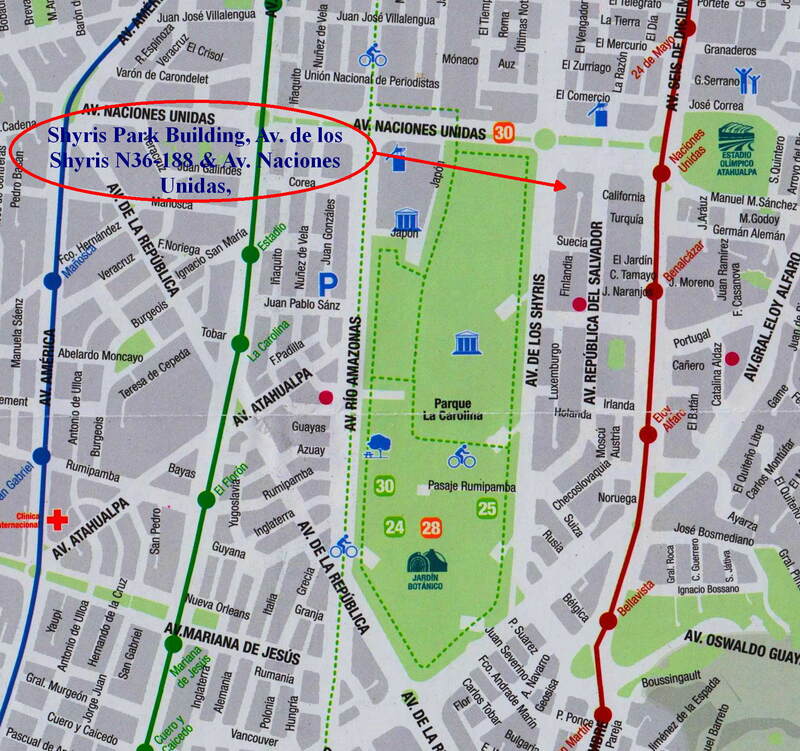 CLIMATE & WEATHER CUENCA ECUADOR, WHAT IS THE BEST TIME TO VISIT? 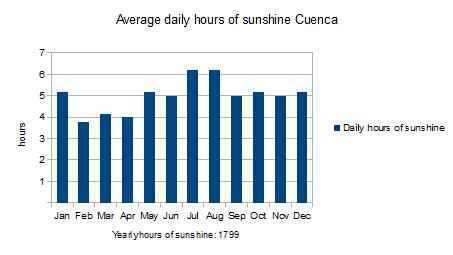 Hours of sunshine, overcast, rainfall, temperatures, GREAT INFO! 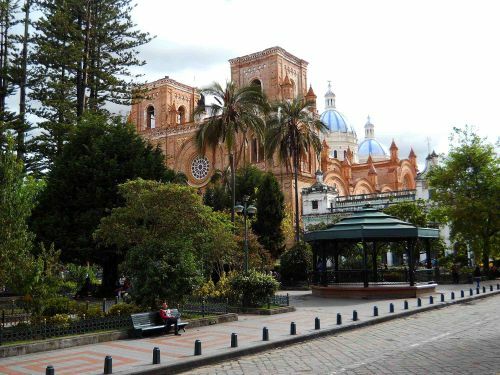 From the middle of Colombia until almost the south of Ecuador, the Andes of Ecuador has a spring-like mild climate with daily weather patterns of alternating sunny and cloudy periods. 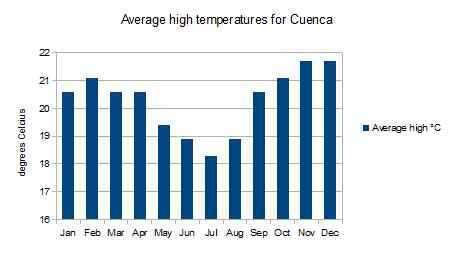 To this pattern, the climate and weather in Cuenca and Ingapirca, Ecuador, is no exception. 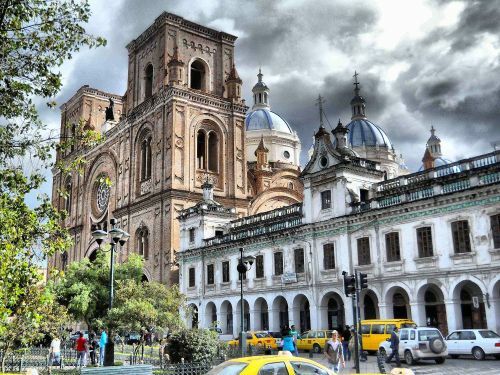 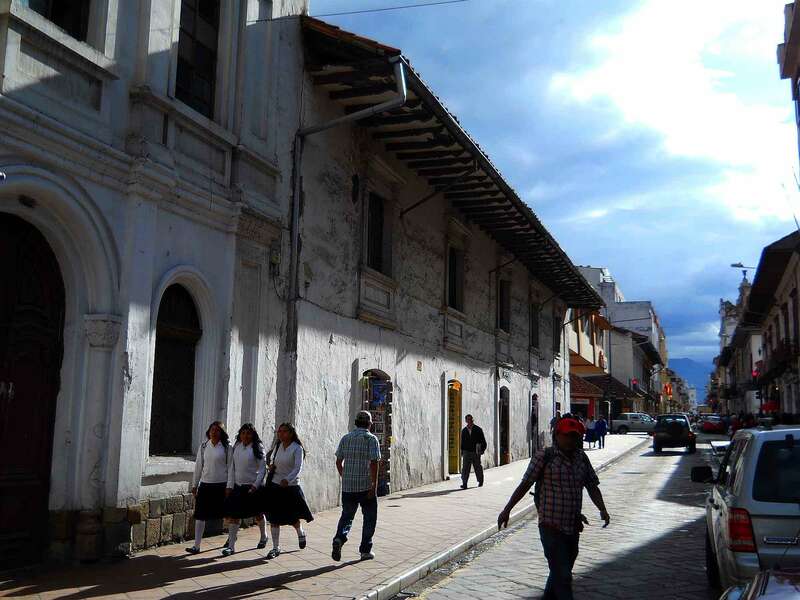 Typically the weather of Cuenca rises to an agreeable level between 20 - 27 degrees Celsius in daytime, while the weather cools off to below 20 degrees at night, when a light sweater is needed. 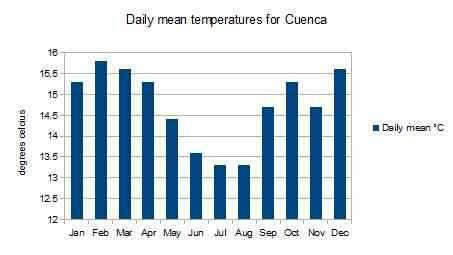 The climate in Cuenca sports two seasons: rainy and dry; the latter between June and December. 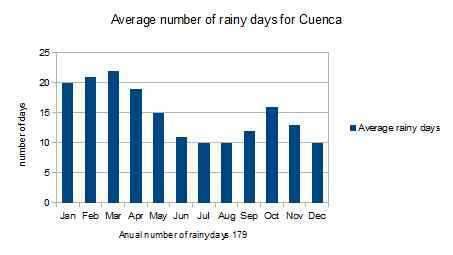 The rest of the year is characterized by bright sunny mornings and cloudy afternoons, often with showers. 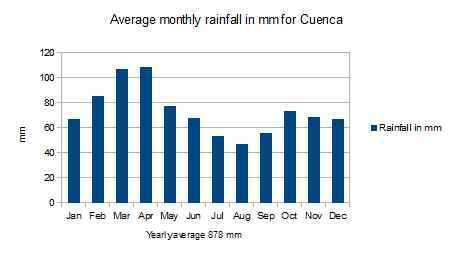 The following charts show the average conditions. 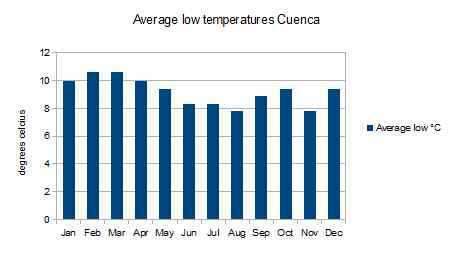 Please note that these are average temperatures, which means that the highest and lowest temperatures each day are considerably higher and lower that the averages. Midday weather at the Parque Cortez in the Plaza Central of Cuenca. 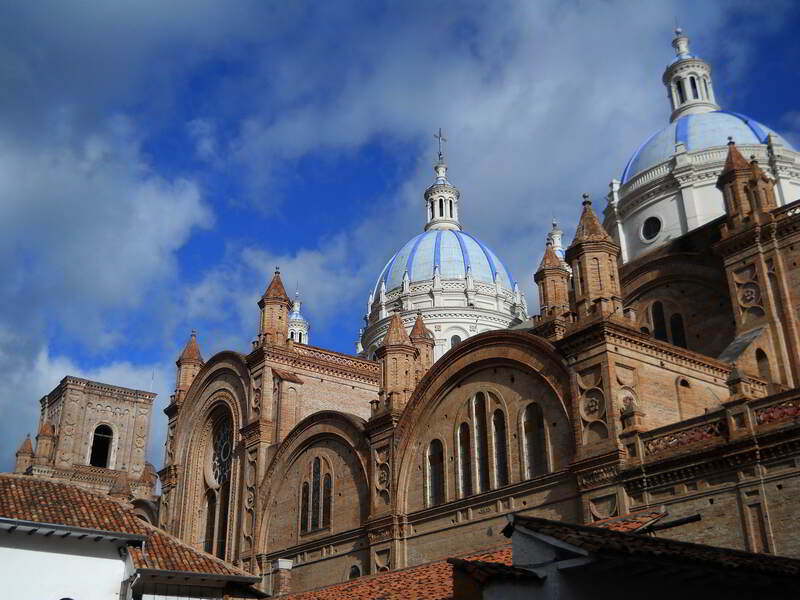 In the afternoon, clouds may cover the sky, but rain showers are often short-lived. When the sun is out, the light in Cuenca is extraordinarily bright and beautiful with deep blue skies. On a typical day for the weather of Cuenca, clouds are moving in, but they don't necessarily bring rain, and when they do, rains often last a brief moment. 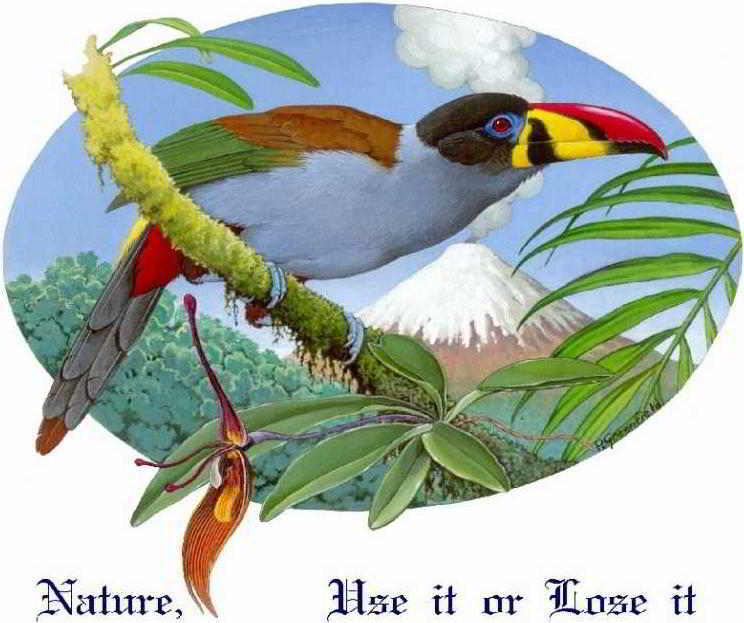 Most people walk in shirts or light sweaters.